As an attorney, to me, proving something requires a neutral arbiter to decide that the fact I am presenting supports my claim and is sufficient to authenticate and sustain it. But when I’m demanded by a (usually angry or otherwise emotional) white person to provide proof that racism exists, I have to accept that that person will be serving as the judge, and no single fact alone I share will ever be enough to fully convince them that institutional and systemic racism is real. Because of this, I most often find myself explaining that, while of course I cannot provide one piece of proof sufficient to convince an outspoken skeptic that racism is still a thing, I can provide a mountain of evidence that, when taken together, leaves racism as the most obvious conclusion. The results of last night’s gubernatorial elections in Georgia and Florida are examples of such evidence. Florida gubernatorial candidate, Andrew Gillum and Georgia gubernatorial candidate Stacey Abrams. Source, The Hill. 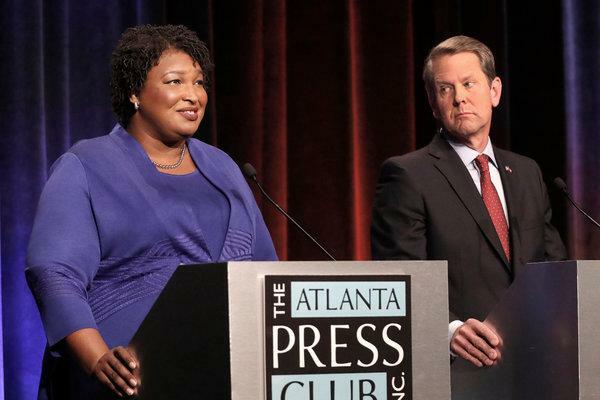 In Georgia, the candidates were Democrat Stacey Abrams, minority leader of the state House of Representatives and black woman, versus Georgia’s Republican Secretary of State, Brian Kemp, a white man. Kemp, because of his position as Secretary of State, was tasked with overseeing and executing the very statewide election process in which he was competing. Despite this obvious conflict of interest and calls for him to relinquish his Secretary of State duties as they pertained to elections, Kemp refused. Stacey Abrams and Brian Kemp, pictured at a debate. Source, The New York Times. In a last-ditch effort to ensure his victory, Kemp put 53,000 voter registrations on hold, a large majority of them from black voters who would’ve likely cast ballots for his opponent. Kemp cited Georgia’s controversial “exact match” process as his justification. While a judge ruled against the exact match law mere days before the election, calling it a “severe burden” for voters, the law coupled with the over 1.4 million voter registrations that had been canceled in the state since 2012, had likely already caused irreparable damage to Abrams’ campaign. Kemp cheated. He suppressed the votes of specifically black Georgians. And he will be Georgia’s next governor. In Florida, the candidates were Democrat Andrew Gillum, the black mayor of Tallahassee and Republican Ron DeSantis, a white state politician and top “Trump ally.” Hours after securing the Republican nomination, DeSantis shocked many by instructing Florida voters not to “monkey this up” on live television. DeSantis’ obvious use of a racist phrase that he appeared to have made up (I could find no evidence of the phrase used in any meaningful way prior to DeSantis uttering it) drew national attention. DeSantis denied that there were any racial suggestions or implications. Later in the campaign, news broke that not only had DeSantis accepted (and refused to return) money from white supremacist groups who had previously called President Barack Obama a “f---ing Muslim n----r,” but that DeSantis had given speeches at at least four events hosted by far-Right, racist activists, including one who claimed that the country was in the midst of a race war against white people. DeSantis moderated a racist Facebook group page. 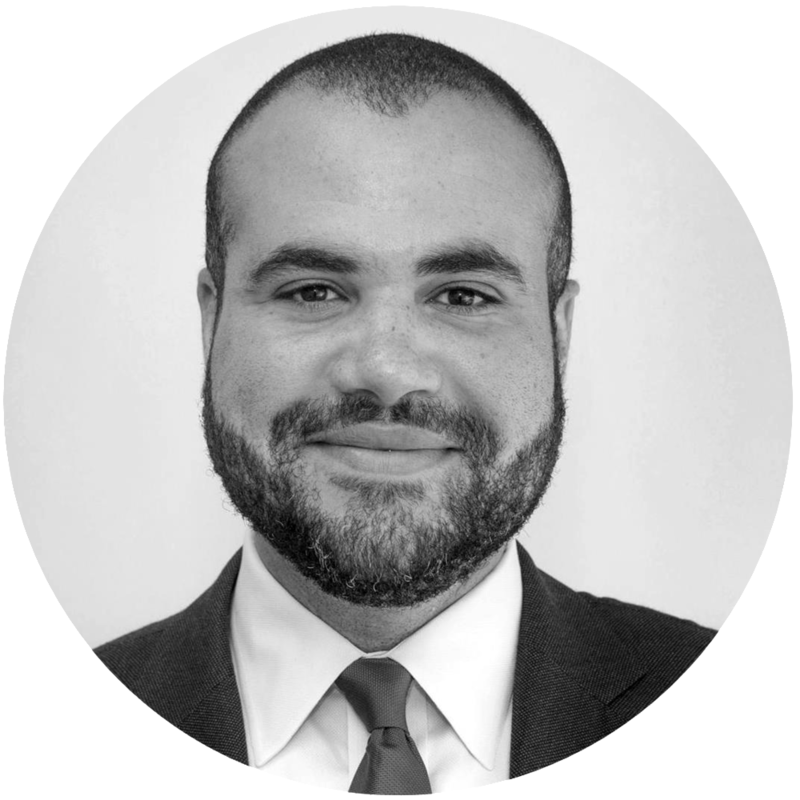 Toward the end of the campaign, yet another blatantly racist group ran racist robo-calls against his opponent. DeSantis displayed his own racism so many times that news outlets literally began to publish lists. Ron DeSantis and Andrew Gillum, pictured at a debate. Source, Politico. DeSantis displayed clearly racist behavior against his black opponent that drew support from neo-Nazi and white supremacist groups. And he will very likely be Florida’s next governor. Voters in Georgia and Florida knew about this behavior and simply did not care. White people operate under a completely different set of rules and expectations. They are given more leeway. Their trespasses are more easily and quickly forgiven. They are allowed to speak their minds—even if they’re conveying hateful rhetoric. And what’s worse, America often rewards even the most overtly-racist tactics and sentiments by elevating those who display them to positions of power: Kemp and DeSantis will be the new presidents of their respective states. I can’t prove that racism exists because, much like Kemp overseeing the election in which he was running, the white people who demand such proof have a vested interest in the answer to their own question. If racism exists, they are implicated. So I will continue to collect and provide evidence to support what nearly every black and brown person already knows. I will continue to engage in these conversations, as ludicrous as they may seem. I will continue to answer the demands for proof of racism with facts and evidence. I will keep trying to help more white people become “woke,” knowing full well that many of us don’t have the luxury of ever falling asleep.